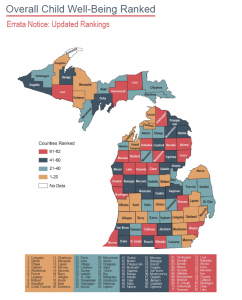 The Michigan League for Public Policy has been producing the annual Kids Count in Michigan Data Book for more than 25 years to evaluate the well-being of children throughout communities in Michigan and identify policy strategies that can be implemented to improve outcomes. As part of the report, the League ranks child well-being by county and puts together county profiles for 82 counties, including Genesee County, while identifying policy strategies that could be implemented to improve outcomes. With the support of the Ruth Mott Foundation, the League’s Kids Count project also produces a profile on child well-being for the City of Flint. The base period for the 2018 book is 2010 compared to 2016, unless otherwise noted. The report analyzes 16 key indicators across four domains: 1) economic security, 2) health and safety, 3) family and community, and 4) education. The overall child well-being rank is based on a county’s rank in 14 of the 16 measures; infant mortality and child and teen deaths are excluded as many counties do not have sufficient data on these two indicators. With several changes to the data this year, rankings from previous years cannot be compared. New to the 2018 data book is the trend indicator on college readiness. 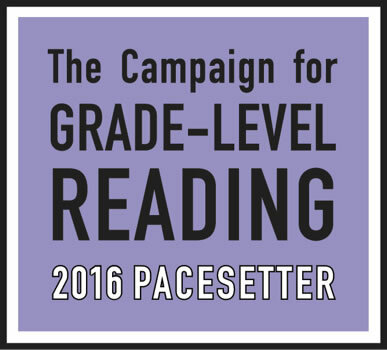 Beginning with the 2016-2017 school year, the SAT with essay was administered to 11th-grade students during the Michigan Merit Examination (MME) in the spring. 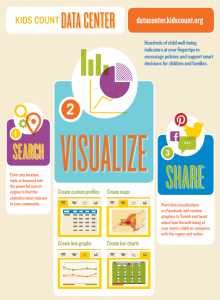 The college readiness data are based on total scores in all subjects, including evidence-based reading and writing and mathematics. 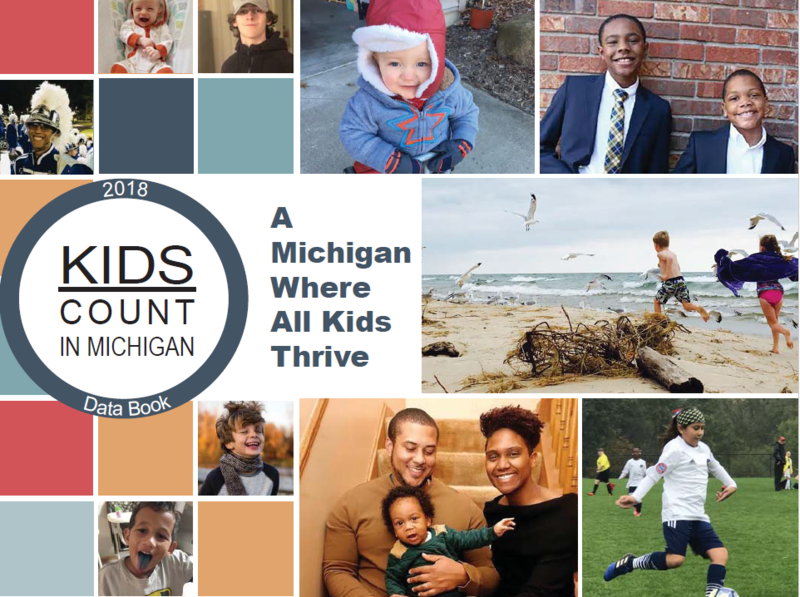 The Flint & Genesee Literacy Network was proud to partner with the Michigan Leauge for Public Policy on April 17th for the official launch of the 2018 Kids Count in Michigan Data Book. As champions for literacy, we must share a common understanding of the challenges our community faces in order to be truly effective agents of change in todays landscape. If we are to truly improve outcomes for all kids in Flint and Genesee County, then policies must be crafted at the local, state and federal level to truly achieve equity.